As the KCATA’s senior economic development manager, Brien Starner constantly fields requests about economic development projects that might grab the Authority’s interest. It wasn’t always an easy question to answer. 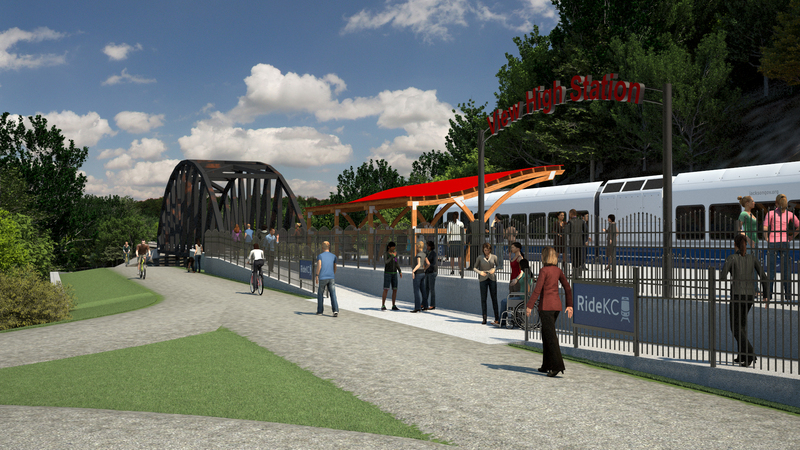 He wasn’t quite sure how a project might fit with the Kansas City Area Transportation Authority’s vision of creating development around transit. Now, he’s got a road map to follow. The KCATA's Board of Commissioners recently agreed on a policy that will guide our economic development efforts in the future. It's believed to be the first of its kind at the Authority. The new policy calls for the Authority to pursue the type of development that will, among other things, build transit ridership and generate new revenue. It specifically urges the KCATA development team to identify strategies blending transit with retail, office and residential development. In addition to increasing transit ridership and generating new revenue, the KCATA’s goal is to foster quality of life by increasing access to jobs, reducing crime, thinning traffic congestion and improving the environment. The idea for an economic development policy was conceived by KCATA Commissioner Gary Mallory. It came about as the Authority undertook development projects downtown at Third Street and Grand Boulevard and the Rock Island rail corridor in eastern Jackson County. adopted an economic development policy. In recent years, the Authority has undertaken the project at Third and Grand as well as the Rock Island rail line as ways of building economic development. Now, the Authority is looking at economic development possibilities along Prospect Avenue where the KCATA plans to start running a bus rapid transit line like Troost and Main MAX in mid-2019. Since Starner arrived at the KCATA, the development community across the region has approached him about a variety of ideas about integrating transit with various projects. While he approaches each project with an open mind, Starner recognizes that traditional bus routes might not be a match for some projects. And as he points out, the new policy demands a transit element for the Authority to pursue a development opportunity.